Is alimony taxable to the recipient or deductible to the payor in Florida? Alimony is normally reported as taxable income to the recipient and is available as a deduction to the payor. There are various exceptions but this is the general rule of alimony and taxes. The parties can change or eliminate this tax treatment through a specific agreement in the divorce decree.If an ex-spouse is expecting to receive a certain amount of alimony in order to help support him- or herself, keeping tax consequences in mind is vital. Note: This tax treatment will be overturned by the new tax law. Alimony will no longer be deductible beginning at the end fo 2018. One area that is routinely overlooked in divorce negotiations is the issue of tax consequences. If a person is paying or receiving alimony as the result of a Florida divorce, this can have important tax ramifications. These can affect one or both former spouses for many years after the divorce is finalized. Sources of income available to each person. Florida law limits the amount of money that can be awarded as alimony. The alimony payment, for instance, cannot leave the paying spouse destitute. In general, the individual paying alimony is able to deduct the amount paid from his or her taxes. Conversely, the individual who receives alimony must include the alimony received in his or her income. So assume that John is ordered to pay his ex-wife Jane $2,000 in alimony each month. He has a yearly income of $48,000. When John files his taxes, he is able to deduct $24,000. Thus, he will be taxed on $24,000. His wife Jane, however, will have to include the $24,000 in alimony she received as part of her income for taxation purposes. If she earned $36,000 on her own, she will actually be paying taxes on $60,000. Thus, paying or receiving alimony can easily put a paying ex-spouse or a receiving ex-spouse in a different tax bracket, resulting in a higher or lower income tax. It should be mentioned that these consequences are different than for child support. In the case of child support, the parent paying child support cannot deduct the amount paid from his or her taxes. In the same way, the parent receiving child support does not include the child support he or she received as income. If an ex-spouse is expecting to receive a certain amount of alimony in order to help support him- or herself, keeping tax consequences in mind is vital. Suppose Jane and John are divorcing. Throughout the marriage, John earned substantially more than Jane and now Jane is expecting to receive alimony from John in order to support herself. If Jane needs $2,000 in alimony to meet her monthly expenses, she will want to make sure that the actual amount of alimony she receives is more than $2,000 in order to account for the taxes she will have to pay on the alimony. Otherwise, Jane may find that the alimony she receives is not enough to meet her needs. Alimony and child support are similar in that both are payments made for the benefit of and designed to help support another person. But there are important differences as well. As mentioned previously, for instance, alimony can carry with it serious tax consequences. This is not true in child support because the parent paying the support cannot deduct the amount paid from his or her income, and the parent receiving the child support is not taxed on it. Get to know us: Kate Newton-John, Esq. Both alimony and child support orders can be adjusted. The standard for each, however, is different. An alimony order can be adjusted upward, downward, or eliminated completely if either party experiences a change in circumstance. Suppose Jane is ordered to pay $1,000 per month in alimony to her ex-husband John. If Jane experiences a reduction in her pay or is laid off, or if John gets a promotion and starts earning more money, the alimony award can be reduced or even eliminated completely. Conversely, when deciding whether to modify a child support order, the court will consider the same sort of factors as when considering a modification of an alimony order, but will also consider the best interest of the child. Thus, a court may deny a modification of a child support order – even if the paying ex-spouse’s income is reduced or the receiving ex-spouse’s income increased – if the court determines that a modification is not in the best interests of the child. In cases where there is both an alimony order and a child support order, the termination or modification of one does not necessarily affect the other. Also note that if an alimony order is terminated, this will result in the paying ex-spouse having more income than he or she previously had, which may trigger a review of the child support order. But the termination of an alimony order will undoubtedly affect the paying spouse’s taxes: whereas the paying spouse may have been accustomed to deducting a certain amount from his or her taxes, he or she may suddenly find that his or her tax obligation has increased once an alimony order has been terminated. In some cases, an award of alimony will be ordered to be paid on a monthly or periodic basis. Even if the alimony is set to terminate after a certain amount is to be paid, the paying spouse may be ordered to pay the amount over a period of several months. While this may work in cases in which the paying spouse has steady employment and income, there are certain circumstances under which the court may order a lump sum payment of the alimony instead. Lump sum alimony, as its name suggests, is a one-time payment of alimony in the form of money or property. It is not a different form of alimony but is rather a way the court can order the payment of permanent or rehabilitative alimony when special circumstances exist that make periodic payments inappropriate. It cannot be modified and generally cannot be terminated, even if the paying ex-spouse dies or if the receiving ex-spouse remarries. For instance, if John is required to pay permanent alimony to Jane, but John has a gambling addiction or has expressed a desire to leave the country, the court may find that John is not likely to make periodic payments. The court may, therefore, order John to make one lump sum payment of alimony. If a person is expecting to receiving alimony, it may sound like receiving one upfront, lump sum payment of alimony is a great idea. But remember that alimony received is taxable as income, and alimony paid can be deducted. This holds true for lump sum alimony as well. So the ex-spouse making the lump sum alimony payment may be able to deduct part or all of the amount paid from his or her taxes. But more significantly, the spouse receiving the lump sum alimony payment will have to include the amount received as income and pay taxes on the amount. Thus, if parties are not careful, an award of alimony may have severe financial repercussions, especially for the ex-spouse receiving the lump sum alimony. Depending on the amount received, the receiving spouse can end up facing a large, if not debilitating, tax obligation. Recall that, in ordinary circumstances, the spouse that receives alimony typically counts alimony received as income and pays taxes on it. The spouse that is paying the alimony is usually able to deduct alimony paid from his or her taxes. The Internal Revenue Service (IRS) was concerned that some ex-spouses were disguising property settlements (which are not deductible) as alimony payments. The “recapture rule” is designed to prevent parties from obtaining a beneficial tax break from payments that are not truly alimony payments. The year a person begins making alimony payments begins the timing of a three-year period of review. If the amount of alimony paid in Year 2 is at least more than $15,000 greater than the amount of alimony paid in Year 3, then the spouse paying the alimony will pay income taxes on the amount that exceeds $15,000 in Year 3. In addition, if the alimony paid in Year 1 is at least $15,000 greater than the average alimony paid in Years 2 and 3, then that excess will also be charged as income to the paying spouse in Year 3. Note that the recapture rule can come into play even when changes in alimony are beyond the control of the paying spouse. If the non-paying spouse has a sudden increase in income, or the paying spouse has a significant reduction in income, a drastic modification of the alimony to be paid may result. If the modification is sufficiently drastic, this may trigger the recapture rule. Take the example of John and Jane again. Suppose that the alimony order is for John to pay Jane $60,000 over the next three years. In Year 1, John pays Jane $20,000 in alimony. In Year 2, John’s company conducts a series of temporary layoffs and John experiences a decrease in income. His alimony order is successfully reduced, and in Year 2 he pays only $5,000 in alimony. In Year 3, John is laid off and pays no alimony. Technically, John has caused the recapture rule to be triggered and he may have a significant tax obligation in Year 3. 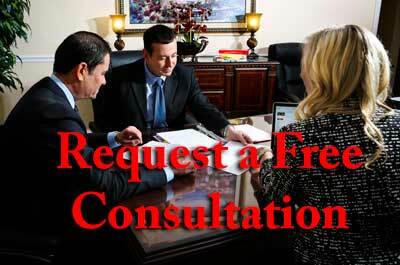 An experienced family law attorney can advise you of important exceptions to the recapture rule. For instance, payments made pursuant to a temporary order of the court do not trigger the recapture rule. Also, if alimony payments stop because your ex-spouse died or remarried prior to the end of the third year, the recapture rule will not be triggered. A common perception is that divorces are messy. Especially since many divorces involve orders for alimony and/or child support – orders that can last for several years – it is very beneficial to use the services of an experienced family law attorney. An attorney can help an ex-spouse who earns significantly more than the other ex-spouse limit the amount of alimony and child support that is ordered. If orders have already been entered, an attorney can assist in modifying or, in certain circumstances, terminating existing orders. And an attorney can help in structuring any order so that potential pitfalls – such as the recapture rule – do not result in any unpleasant surprises. Even if an ex-spouse is the recipient of an alimony or child support order, an attorney’s advice can still be beneficial. Not only can an attorney ensure that alimony and child support orders are entered for appropriate amounts, but an attorney can assist in evaluating the tax consequences of any alimony orders. Especially when the parties are discussing a lump sum alimony award, discussing the tax consequences of such a decision beforehand can save a person hundred (if not thousands) of dollars in taxes. Howard Ellzey is not only a fabulous attorney, but he is a great caring, compassionate man, he really took my case and problems to heart, and worked them as if they were his own, knowing that a person is in a very delicate and vulnerable position when an attorney is required to step in, is really where he excelled, using “kid gloves” to really help me understand what I was going to be going through, and really going the extra mile, to help bring me peace of mind and comfort, I was blessed to find such an attorney, I completely recommend Howard’s services, his skills are are well honed, and he certainly knows what he is doing in the pressure cooker of a court room, one consultation with the man will show you what I mean, a consummate professional, with the experience, knowledge, and know how, to bring anyone who hires him, the same blessing I experienced.